Fall All Over These Events: Fashion Chic, Mid-Autumn Holiday Fairs, and More! 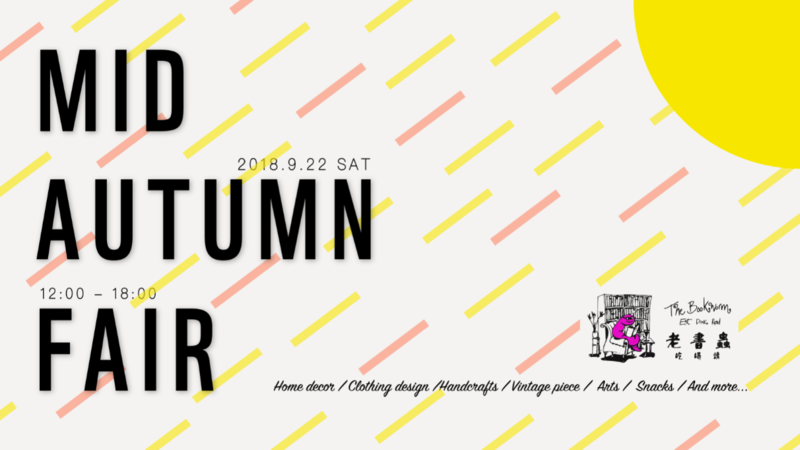 You are at:Home»Things to Do»Fall All Over These Events: Fashion Chic, Mid-Autumn Holiday Fairs, and More! Head to Beijing Riviera for a fun day of shopping, fashion and design. 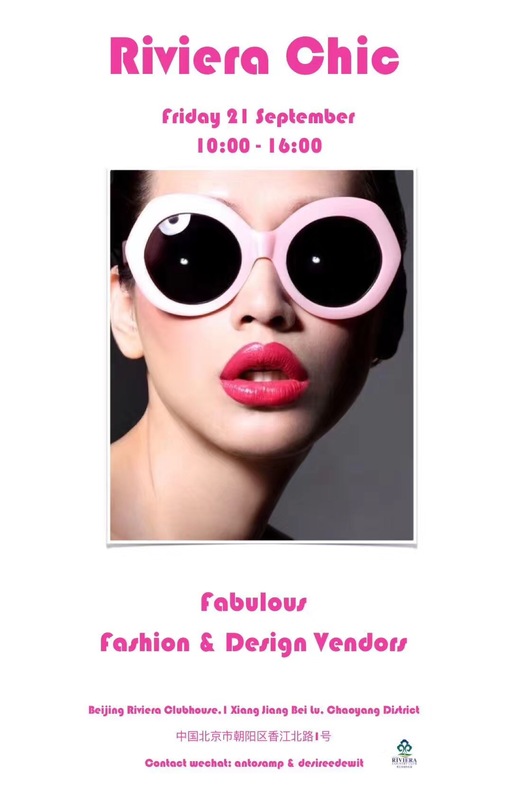 As always, there will be fabulous fashion and design vendors for you to peruse. To register as a vendor, contact antosamp or desireedewit. Otherwise, just come prepared to shop! Adults. Free admission. 10am-4pm. Beijing Riviera. Don your sun hats, borrow some kids, and liberally apply that sunscreen. Meet us poolside in the Polish Embassy’s beautiful garden to catch the last waves of summer 2018. 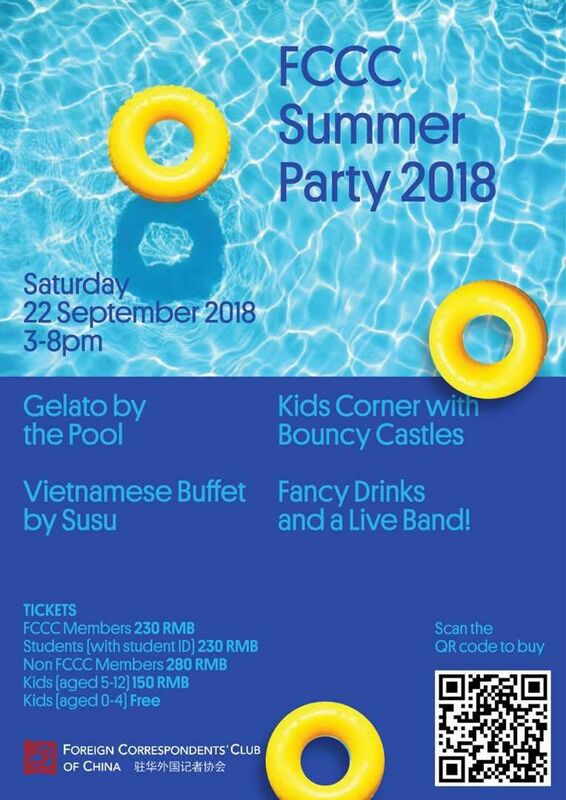 There’ll be craft beer and cocktails, two bouncy castles, an exquisite Vietnamese buffet by Susu, and more family-friendly delights! Ages 5+. RMB 280 (adults), RMB 230 (students), RMB 150 (kids 5-12). Purchase tickets here. 3-8pm. The Embassy of the Republic of Poland. Here’s another chance to choose from thousands of gently used, recently donated books for all the family and support children in need. At this Roundabout Book Fair, there will be books for children of all ages and for adults, from many genres, and in different languages on sale. Good prices, great selection, and all proceeds will help a child in need. All ages. Free admission. 10am-3pm. Keystone Academy. 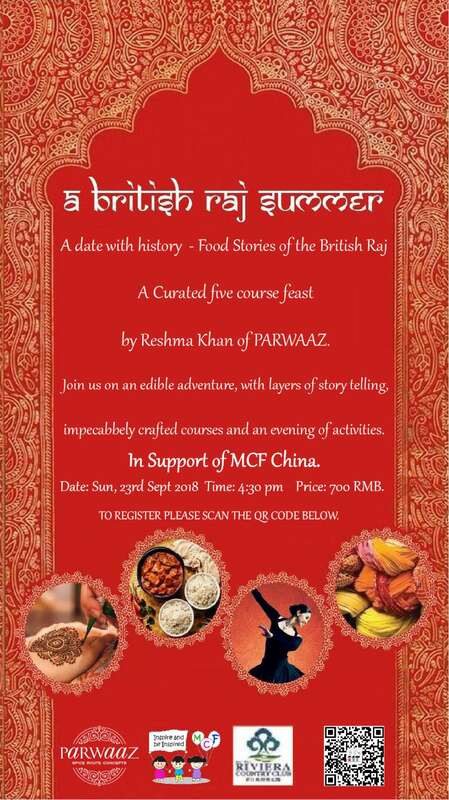 Parwaaz Spice Route Concepts invites everyone to join their “A British Raj Summer“, a charity event hosted by PARWAAZ in support of MCF China. The British Raj Summer presents guests with the experience of tasting one of the most exquisite and finest Indian cuisines in Beijing, all handmade and prepared by Reshma Khan of Parwaaz. All ages. RMB 700 per person. To register, please scan the QR code on the poster. 4.30pm. Beijing Riviera Country Club. 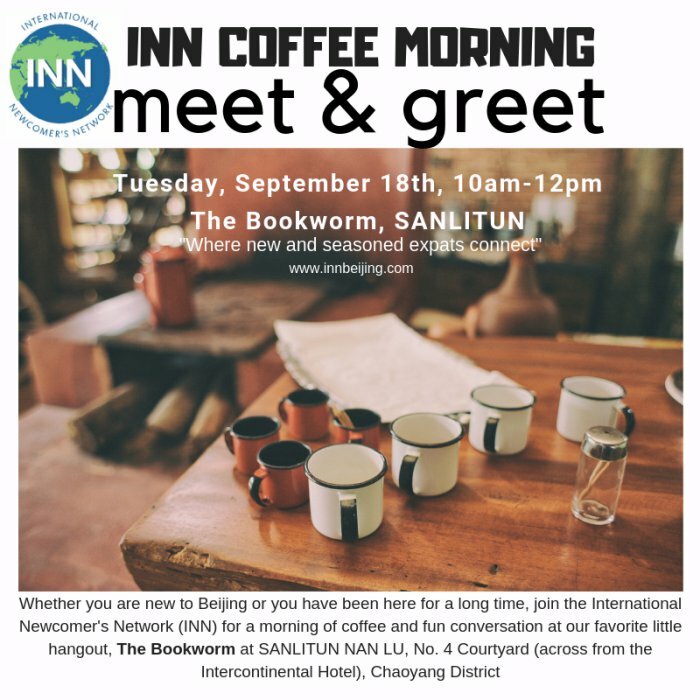 The International Newcomer’s Network (INN) invites expats to join its Sanlitun Coffee Morning, a get-together full of fun conversation and networking. The September edition of the INN Coffee Morning will be held at The Bookworm. All ages. Free admission. 10am-noon. The Bookworm. At some point, every professional, young or old, find themselves with a choice on what direction they want their career path to go in. One of the possibilities might be to move up the company ladder and take on a management position. 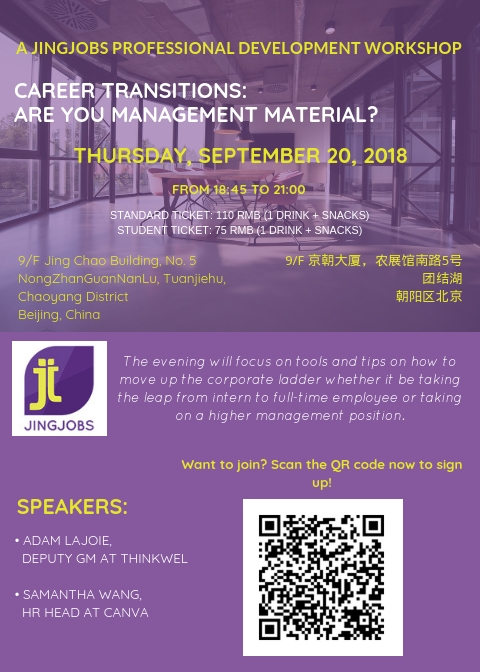 This seminar will focus on tools and tips on how to move up the corporate ladder whether it be taking the leap from intern to a full-time employee or taking on a higher management position. Ages 16+. RMB 110 (standard), RMB 75 (student). Purchase tickets here. 6.45-9pm. Inn Cube. Are you a human woman? Do you value your health and actively seek ways to keep it intact? Well, you’re in luck. On Thu, Sep 20 at 6.15 pm, four medical professionals from Beijing United Family Hospital (BJU) will give health talks to help you learn how to take care of your body in Beijing. Adults. 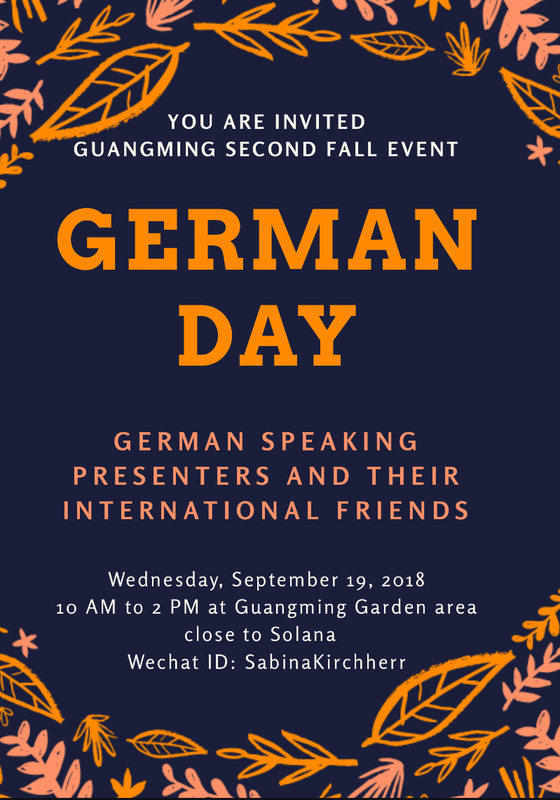 To sign up for this event, email anitra.williams@ufh.com.cn with the subject “Women’s Health Seminar” with your full name, phone number, and the number of people you wish to register. 6.15pm. BJU. Discover how religion and ritual shaped China’s history and culture. Visit Beijing’s Temple of Confucius, Imperial Academy, and Lama Temple with our expert Newman Tours’ guide, and find out what happens when Buddhist saints get angry, why official exams on Confucian philosophy ruined so many lives, and what Tibetans do with the thighbones of criminals. Adults. RMB 290 per person. See this page for more info about the itinerary. 1.30-3.30pm. Tours must be booked in advance. (138 1777 0229, info@newmantours.com, www.newmantours.com).